57-year-old Eliezer Leon was a brother, father and assistant pastor at Estanque de Sioloe Church in Germantown. KENSINGTON (WPVI) -- A church pastor, who was helping recovering addicts late Thursday night in the Kensington section of Philadelphia, was struck and killed in a hit-and-run. The driver of the striking vehicle remains at large. The victim, 57-year-old Eliezer Leon, was a brother, father and pastor at Estanque de Sioloe Church in Germantown. Police say Leon was struck by a driver and dragged 20 feet on North Front Street at about 10 p.m. Thursday. It happened moments after he dropped off a group of men overcoming substance abuse at a residential ministry at North Front and Diamond streets. Pastor Teo Claudio told Action News Leon had participated in a service at the church in Germantown a short time earlier. "He was preaching. He had a great message last night. After it was over... we drove the boys to the (North Front Street) house." Leon dropped off the men and was getting ready to leave. He was struck when he opened the driver's side door of a van. The driver of the striking vehicle did not stop. 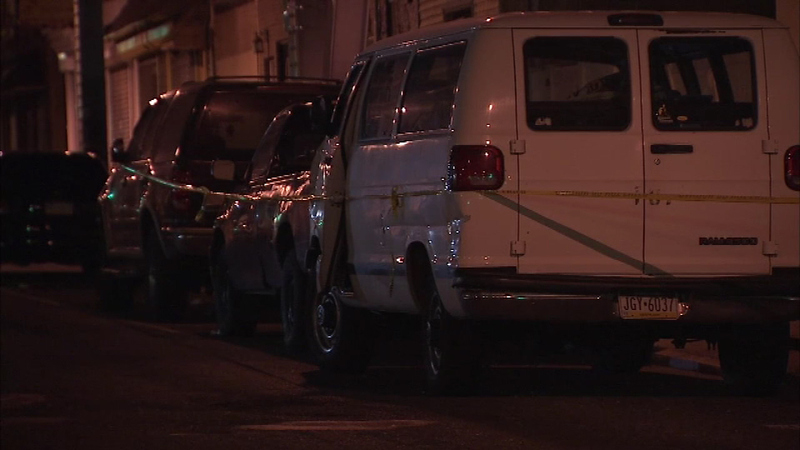 A 57-year-old man is dead after being struck and then dragged by a hit-and-run driver in Philadelphia's Kensington neighborhood. Leon was pronounced dead at 3:15 a.m. Friday at Temple University Hospital. Investigators recovered a chrome insert with a Saab logo at the scene of the crash. On Friday morning, police released a description of the striking vehicle and an image of a similar make and model. Investigators are looking for a dark-colored 2003-2007 Saab 9-3 that would have front passenger side fender damage, a flat front passenger side tire, a black passenger side view mirror with scuffing on the outer edge, and damage to the passenger side edge of the front windshield. Leon was remembered as a pillar of the community. "He worked with the boys, he bring the message, the word of God, he's trying to make sure they go straight," Claudio said. His family, to say the least, is devastated. "He always wanted to help, he never said no. He'd take the shirt off his back and give it to you if he had to. I guess that's how he passed away, doing what he wanted to do... help people all the time," said his brother, Willie Leon. Anyone with information on the case is asked to contact the Philadelphia Police Accident Investigation District at 215-685-3180/3181 or call 911.